Preseason is underway in the NFL, and excitement is in the air as the regular season draws near with each passing day. It’s a great time to be a football fan, with each team’s fan base full of renewed optimism ahead of a new season. The Packers are perennial contenders in the NFL North, primarily due to the presence of Aaron Rodgers. Having him under center means the team always has a chance, regardless of their other deficiencies. But that’s exactly it. The Packers in general, and Mike McCarthy in particular, have displayed a tendency to abandon the run and put the ball in Rodgers’s hands. And to be honest, who can blame them? He is clearly one of the top three quarterbacks in the game, and one of the best passers of all time. Letting him have command of the game makes the most sense. But there are also downsides to overdoing that. Rodgers missed roughly ten games last season, as a result of a shoulder clavicle fracture. By the time the injury had healed enough for him to return, the season was practically over for Green Bay. And this is despite the team starting the year hot with a 4-1 record prior to the aforementioned injury. This just goes to show how important Rodgers is to the Packers and their success. You should always protect your assets. Even more so when it’s your most prized possession. While the NFL game is physical, it’s important to take the steps to protect the quarterback as much as possible. One of the best ways to do that is to run the football effectively. A strong running attack keeps defenses on their heels. Once they have to respect the run, it changes the entire defensive philosophy and strategy. It forces defender to freeze for a moment when the ball is snapped in order to assess the play call from the offense. This momentary pause is monumental both to give Rodgers more time to find his receivers, as well as to not allow defenders to simply tee off on the quarterback with the ball in his hands. Running the football has not been a priority for the Packers in years past. But hopefully they now aim to fix that in 2018. The Pack have several capable backs. 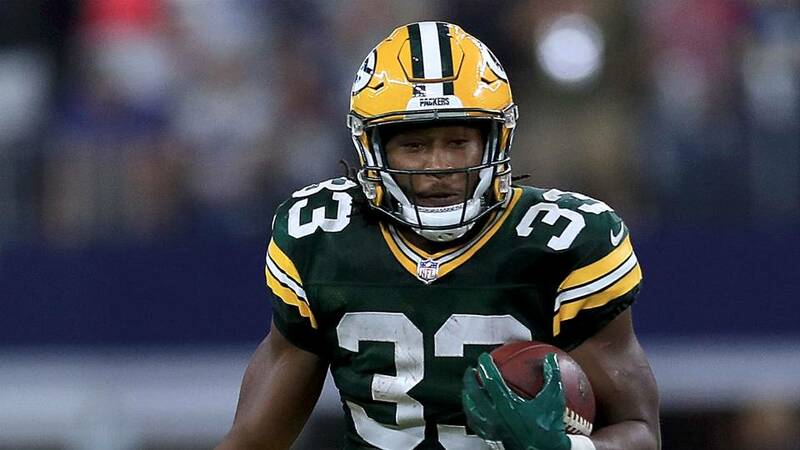 Both Aaron Jones and Jamaal Williams are entering their second year in the pros. And each of them showed his abilities last season. 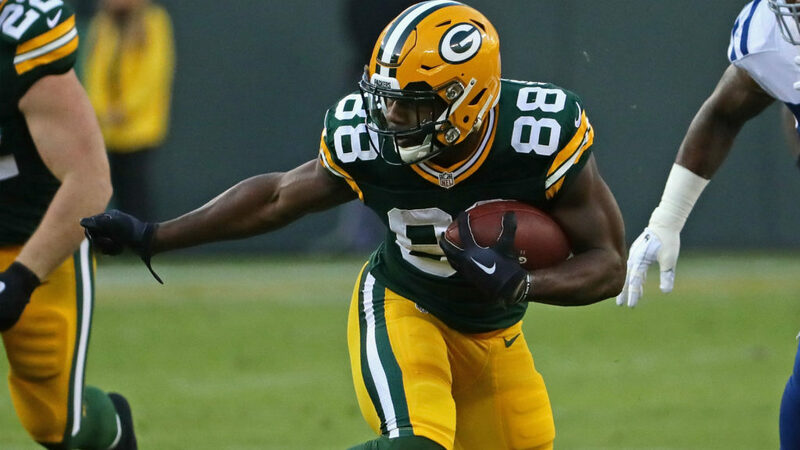 Jones is one of the most explosive playmakers on the team, and Green Bay needs to at least consider giving the young back more touches. Meanwhile, Williams is a no-nonsense type of runner, who invites contact on every run. 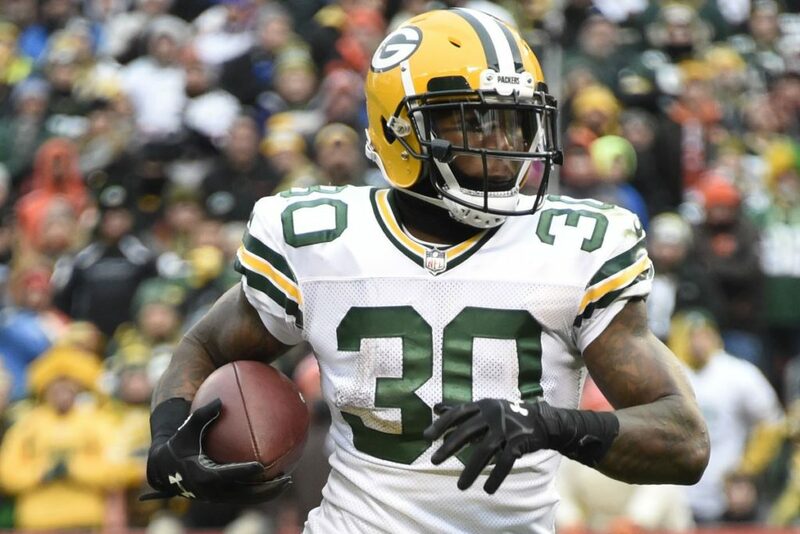 He knows how to gain those tough yards, and that could come in handy for the Packers when they are ahead and trying to put teams away in the second half of games, when the defense knows the run is coming. He can really wear down defenders with his punishing running style. And then there is running back Ty Montgomery, who made the adjustment from wide receiver to running back a few years ago. Montgomery is more than capable as a runner. The issue for him has been durability, particularly when running in between the tackles. But when he is healthy, he has the ability to churn out chunk plays in bunches. And his time as a receiver means he has the best hands of the bunch. That can also play into the Packers game plans, as another great option for Rodgers in the passing game. Green Bay will once again look to make a run at the Super Bowl. Any time Rodgers is healthy, this team is an immediate contender. And this year will be no different. But creating a more balanced attack, and preserving the health of their most important player, should be the team’s priority. Rodgers isn’t getting any younger (currently 34 years old), and the team needs to start maximizing the years he has left in his career. Running the football effectively could be exactly what they need to achieve their goals.